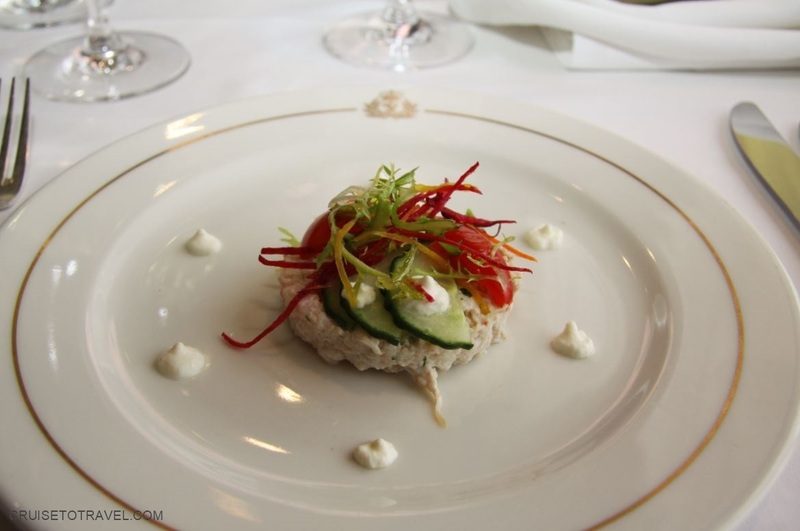 You never decline an invitation to a Royal visit, so when Cunard invited us to visit their remastered flagship, we were over the moon with excitement. 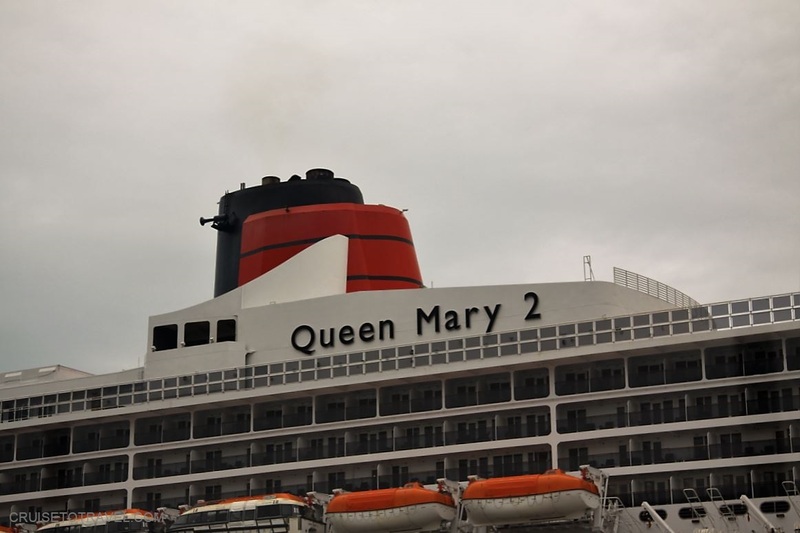 Exactly two years ago we visited Cunard’s flagship Queen Mary 2. You can read more on that visit by clicking here. Built as an oceanliner scheduled for Transatlantic crossings between Southampton and New York, Queen Mary 2 was the largest cruise ship in the world when she enterred service in 2004. 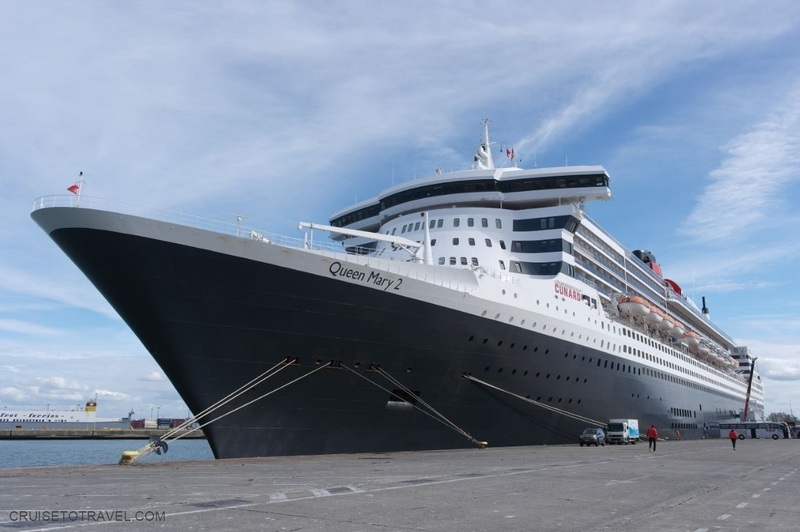 Measuring 345 meter in length and towering 17 decks high, she can acommodate 2705 passengers who are guaranteed to experience the cruise of a lifetime by over 1178 crew members from 75 different nationalities. 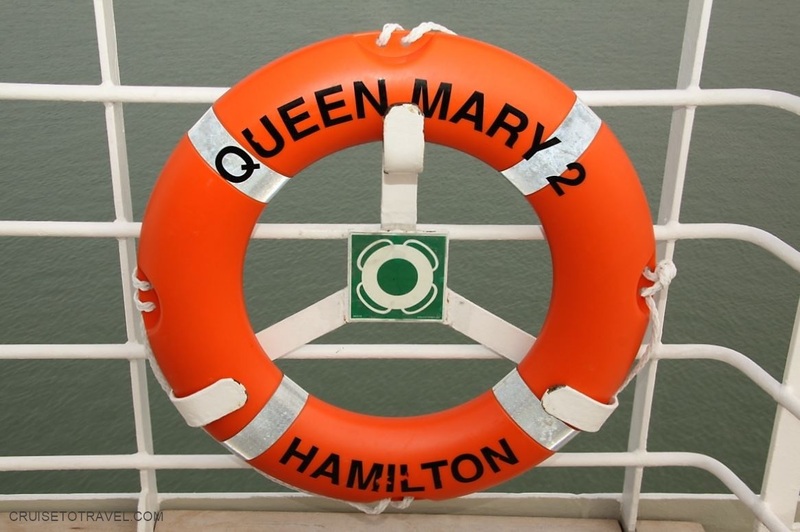 Queen Mary 2 had the Royal Mail Ship (RMS) title conferred on her, not only as a gesture to Cunard’s history but also because she transported mail during her crossings between the US and Europe, a tradition which she still honours up to today. Following in the footsteps of the many iconic ships that have served during Cunard’s rich 176 year history, Queen Mary 2 combines the comforts of modern day travel with the stylish elements of Golden Age ocean travel. 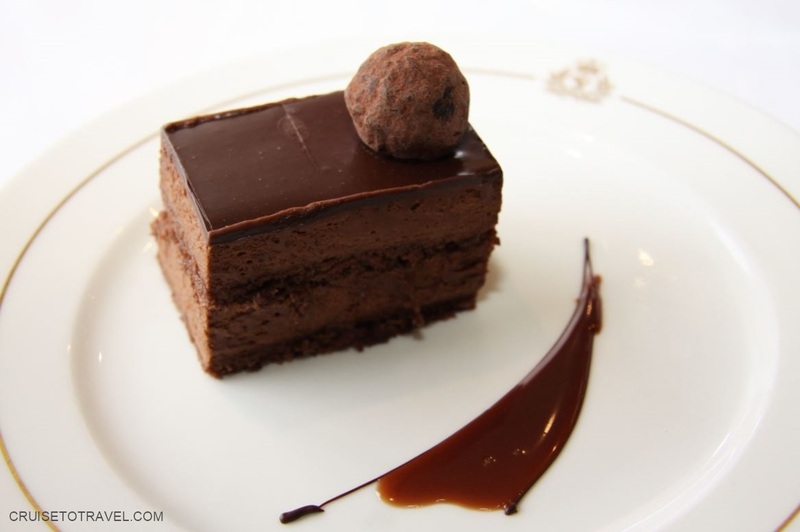 A concept which served as a guideline for the ship’s recent refurbishment. 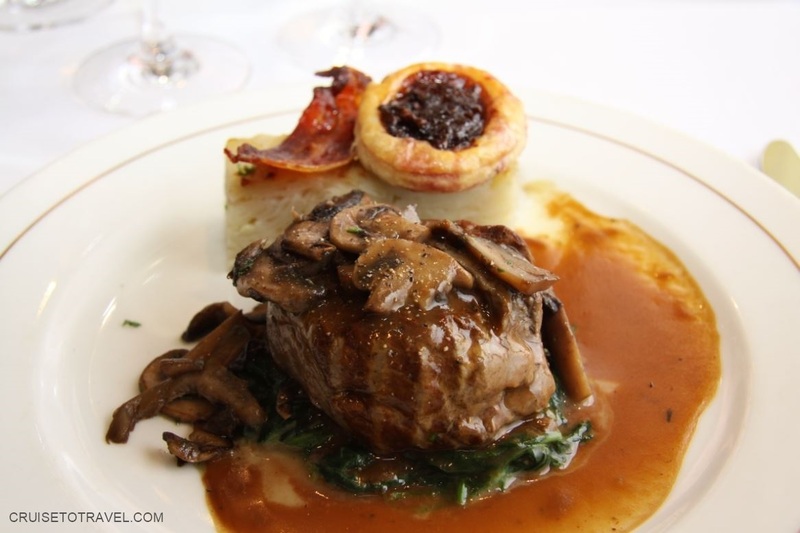 As part of the “remastering” of Queen Mary 2 the Queens Grill and Princess Grill suites and restaurants, as well as Britannia staterooms were redesigned and refurbished. 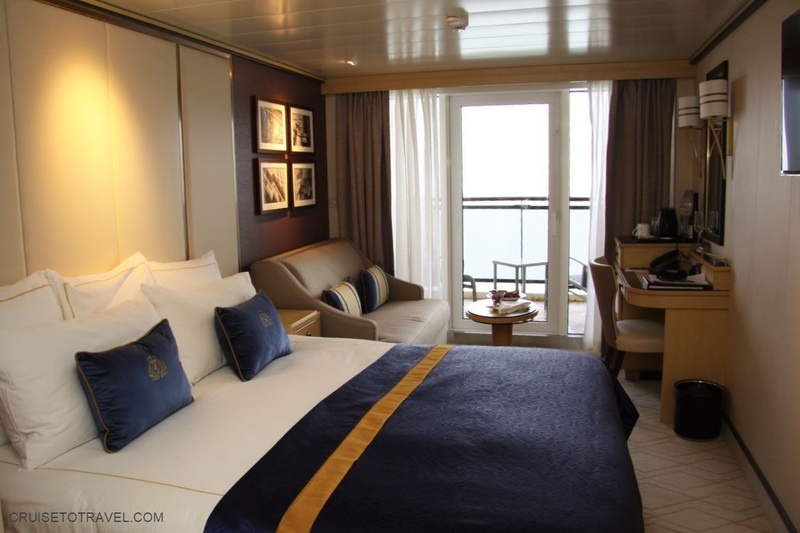 30 Britannia Club staterooms and 15 Britannia single rooms and 5 Britannia inside staterooms were added. Key public spaces and restaurants were redesigned. 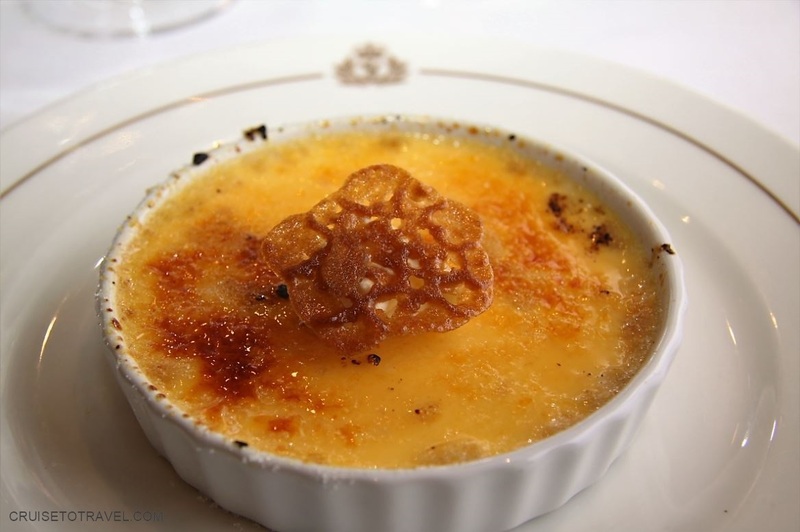 For exemple the Winter Garden was transformed into the Carinthia Lounge, offering breakfast and light lunches; the Kings Court, the ship’s self service restaurant, was completely refreshed and restructured and the Verandah, a new specialty restaurant, was added. 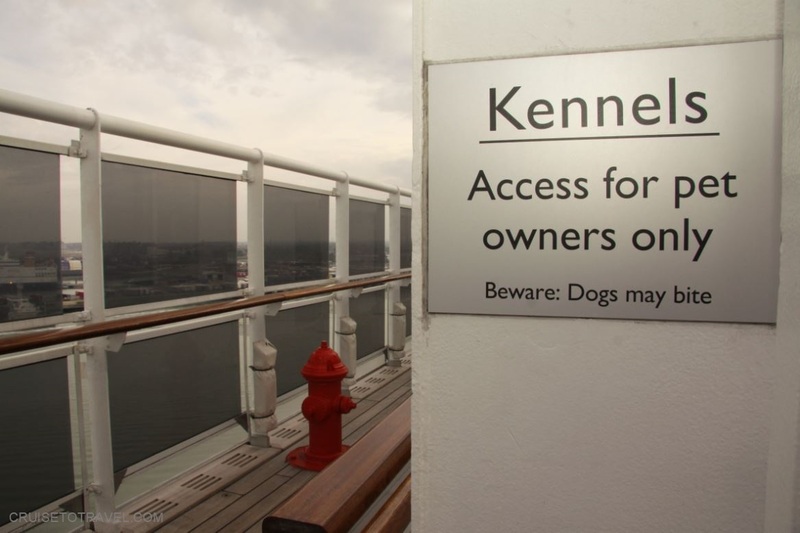 Furthermore 10 additional kennels, complete with Liverpool lamp post and New York fire hydrant were added to make the dogs feel at home during transatlantic crossings. In total 24 cats and dogs can join their masters as they cross the Atlantic. In total over one million man hours and 120 million euro were spent during a 25 day drydock in Hamburg. During the makover more than 594,000 square feet of carpet has been replaced, 4,000 new framed pictures were brought on board and over 3,900 gallons of paint were applied to the ship’s hull. Though the ship was originally designed to offer a regular connection between the UK en the USA, during winter she also serves as a cruise ship. For example early 2017 Queen Mary 2 will embark on a 118-night World Voyage taking guests on an epic journey from Southampton via South Africa crossing the Indian Ocean to Australia, through the Suez Canal into the Mediterranean and back to her homeport Southampton. And you may not believe it but this unique voyage is completely sold out. 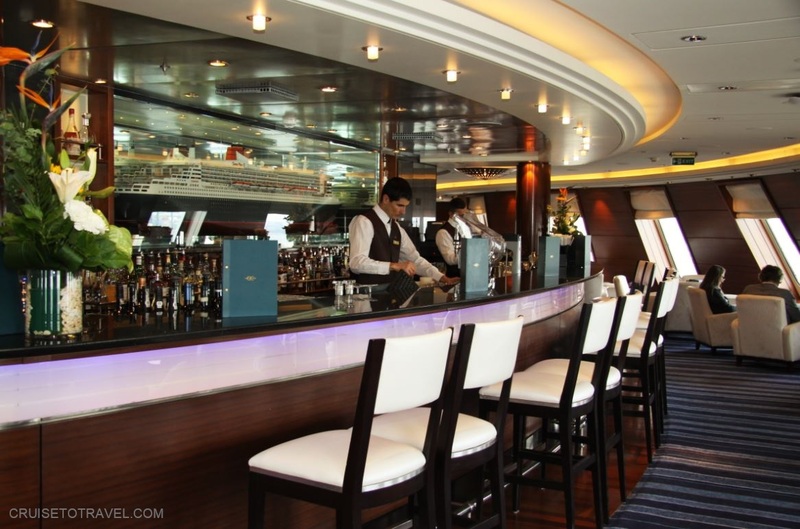 One of the best places to watch the world go by as you cruise or cross the Atlantic Ocean is the Commodore Club, an observation lounge and Martini bar overlooking the bow of the ship. Part from the 180 degree views the lounge features a detailed model of Queen Mary 2. 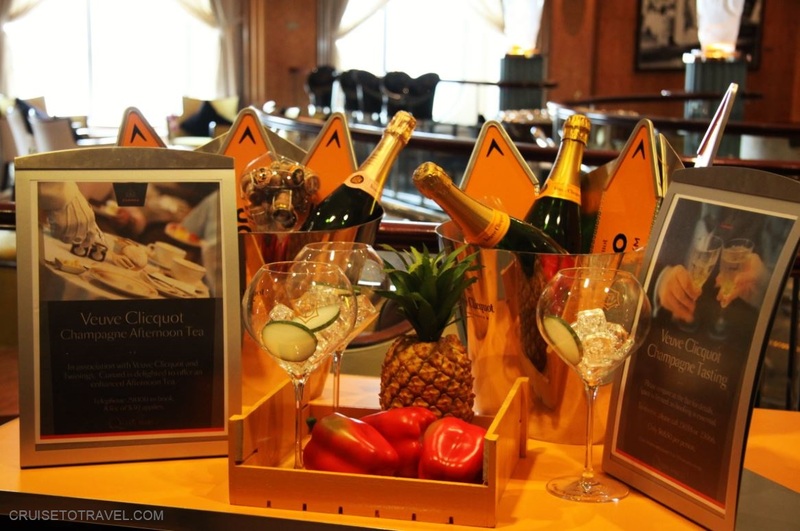 My favourite bar on board QM2 is the Champagne Bar on deck 3. 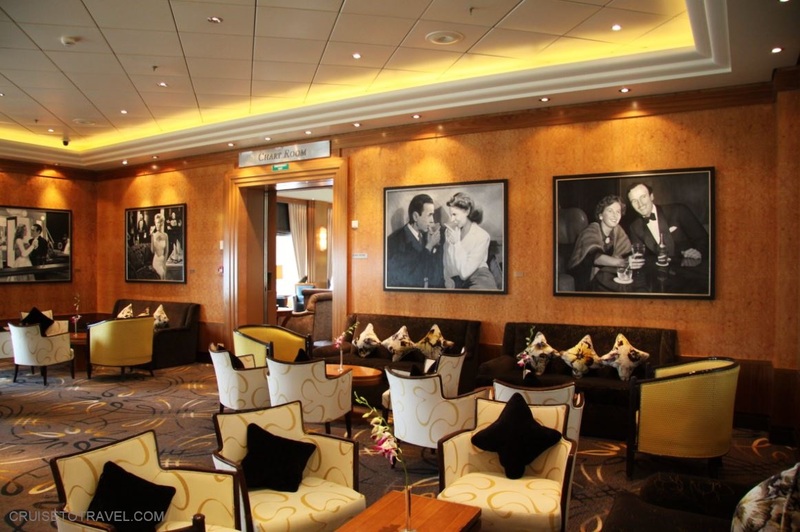 I can imagine myself sitting in one of the comfortable seats reminiscing about how life must have been travelling the world on one of the classic ocean liners. Would you believe me if I told you that the fact that the bar serves Veuve Clicquot champagne has nothing to do with it? 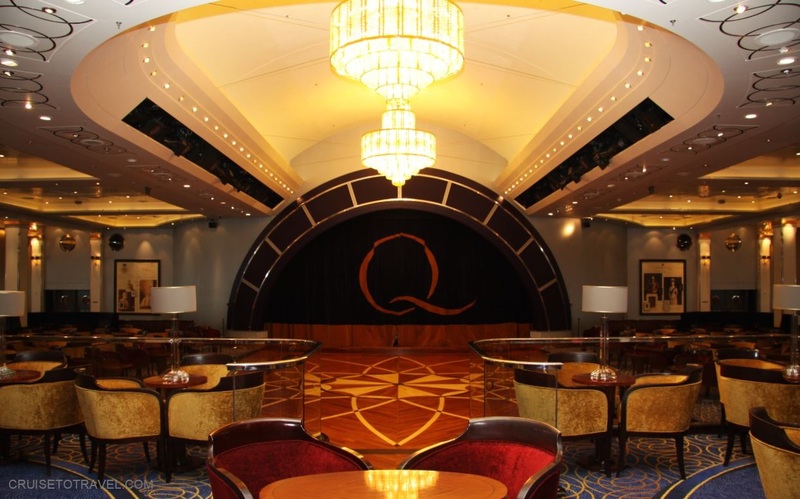 Another favourite of mine, and probably one of the most unique lounges on all cruise ships, is the Queens Room. This formal ballroom with its dramatic arched ceiling and large wooden dancefloor is the main venue for Afternoon Tea, cocktail parties, themed balls, pre-dinner and after dinner dancing and a wide variety of other entertainment during the day. 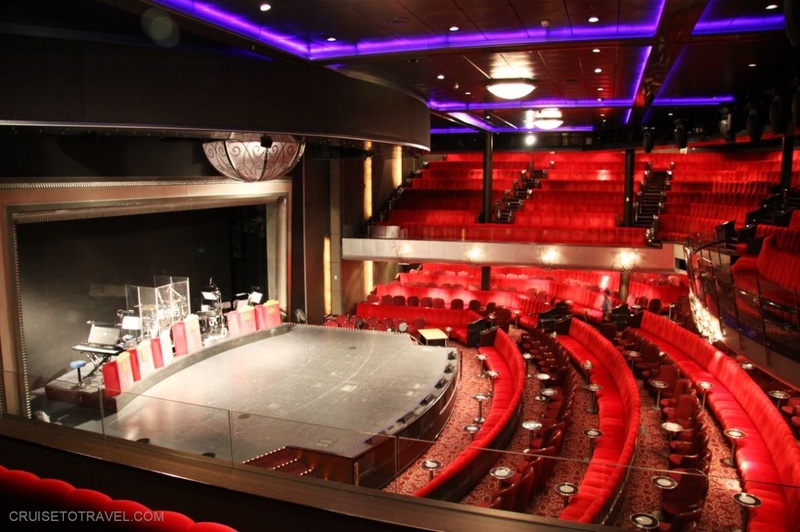 While the entertainment in the Queens Room could be considered more tradional, the Royal Court Theatre has state of the art acoustics and LED lighting, and features a variety of entertainment including production shows, variety shows and theatre shows. 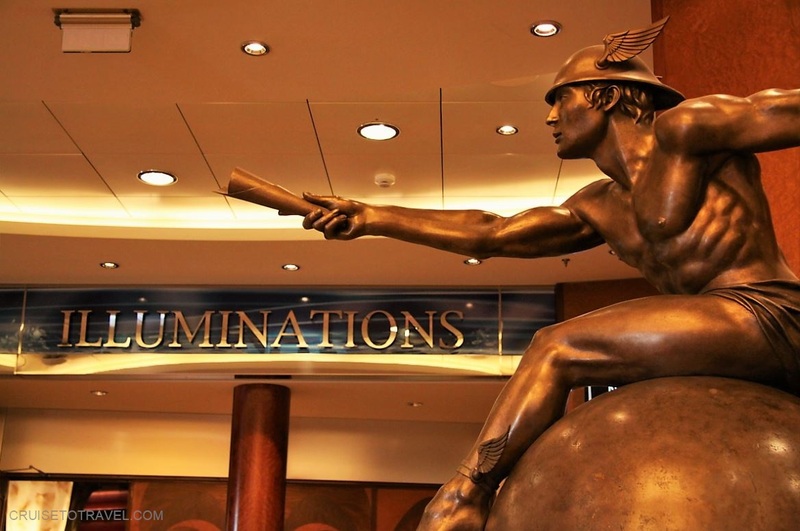 Illuminations on decks 2 and 3 features the only Planetarium at sea in the world. 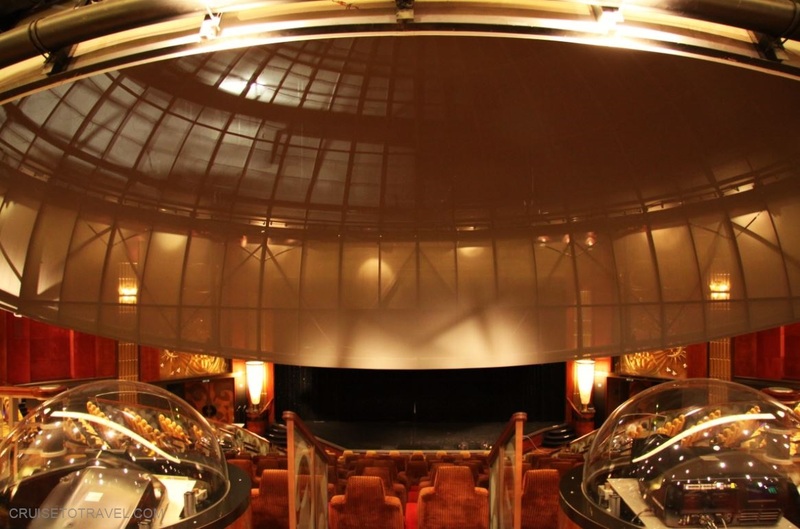 The multi-purpose venue is used to present Planetarium shows, 2D and 3D movies, guest lectures and culinary demonstrations. 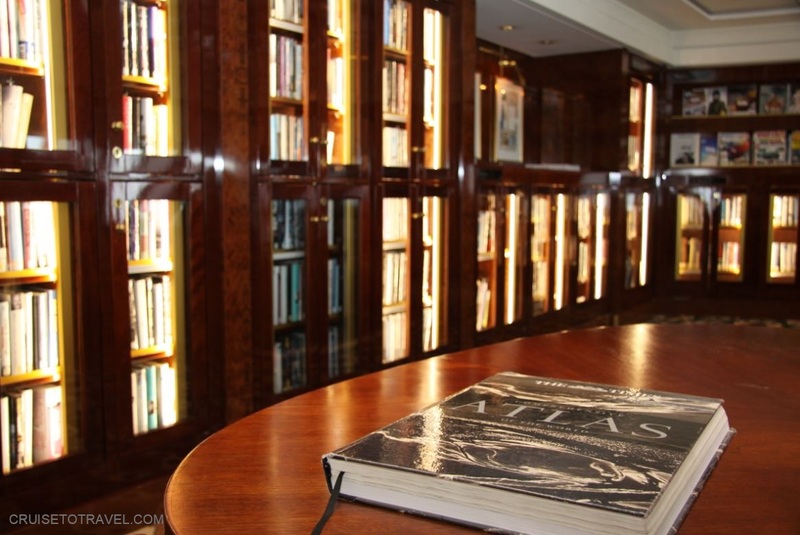 Queen Mary 2 is also home to the largest library at sea, over 9,500 books are housed in elegant bookcases. 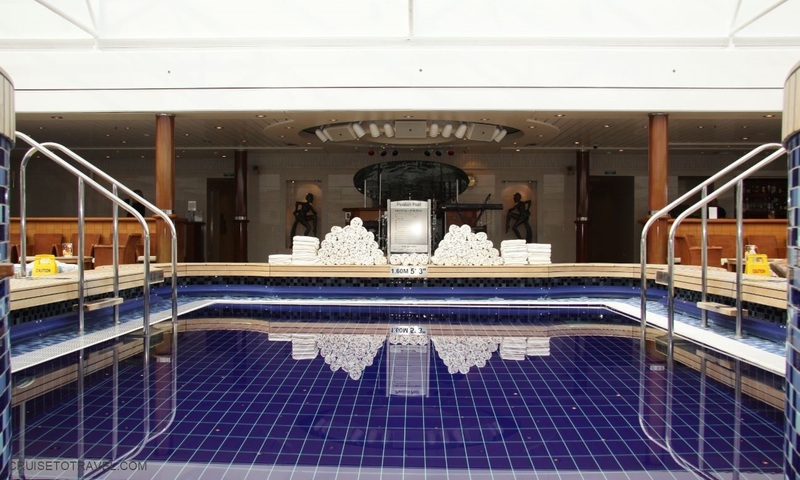 Queen Mary 2 offers guests a selection of indoor and outdoor swimming pools and jacuzzis. 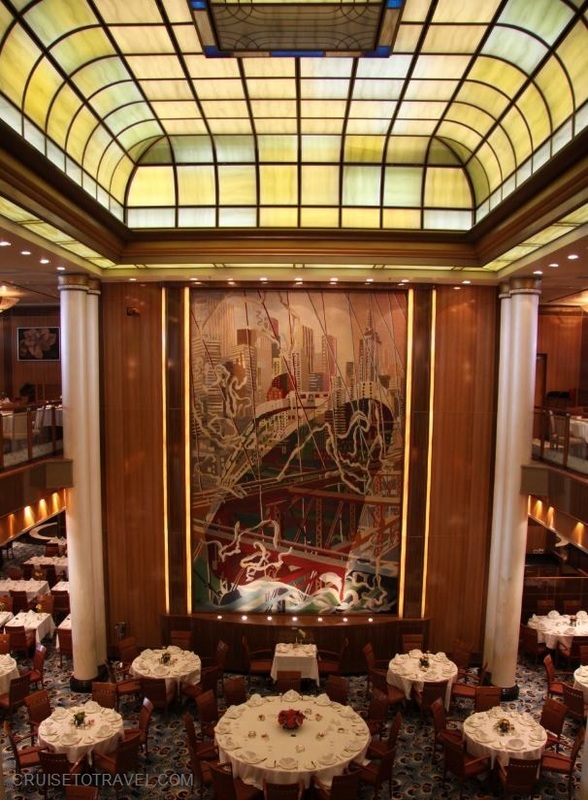 We ended our visit to the beautiful Queen Mary 2 with lunch in the Britannia Restaurant. The spacious Britannia is split over tow levels, with the upper level seating 556 guests and the lower level seating 670 guests. 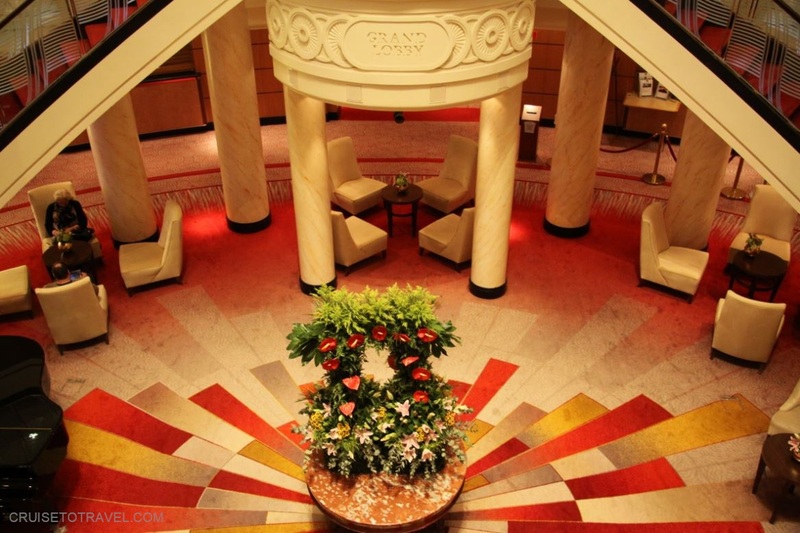 The main restaurant on board QM2 features a sweeping central staircase and classic columns. After a delicious lunch and a final walk through the ard deco inspired hallways, it was time to go back into the real world and say goodbye to the beautiful and timeless elegance of Queen Mary 2.